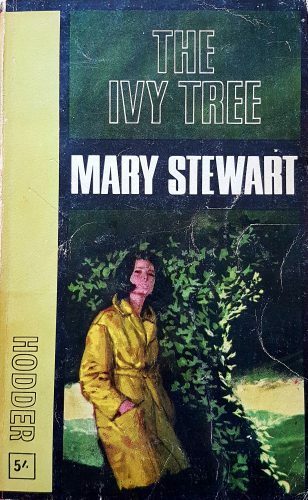 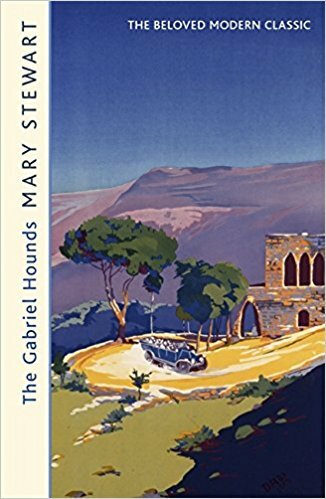 I’ve just been on twitter and I see that several days ago the Hodder account @HodderFiction was – quite rightly – showing off its ‘irresistible new Mary Stewart editions’. 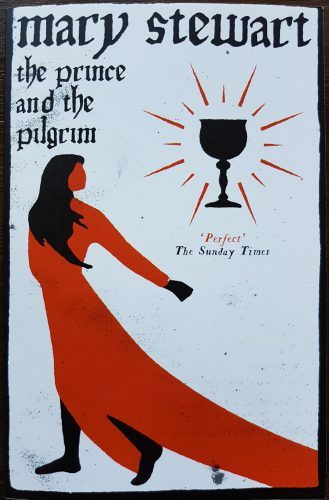 Aren’t they gorgeous? 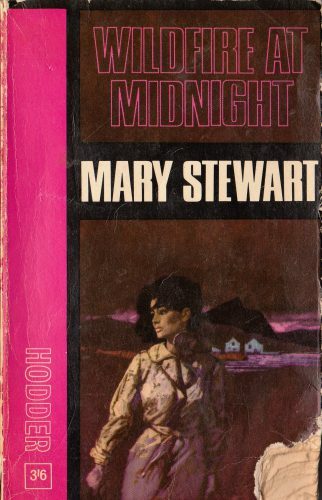 That was a fairly idle question – I’m just happy to look at the covers whether they are new or old. 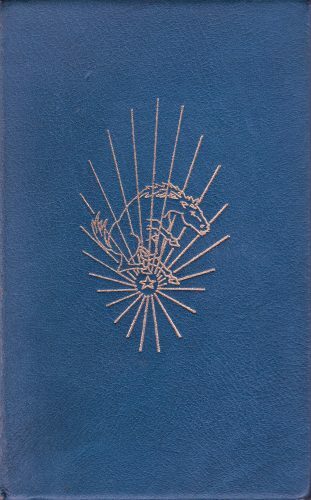 More pressingly, I am intrigued by the open book in the tweet photos: what is this? 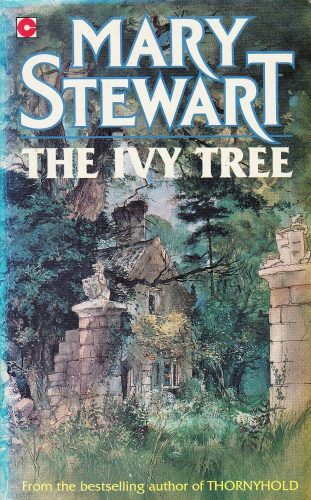 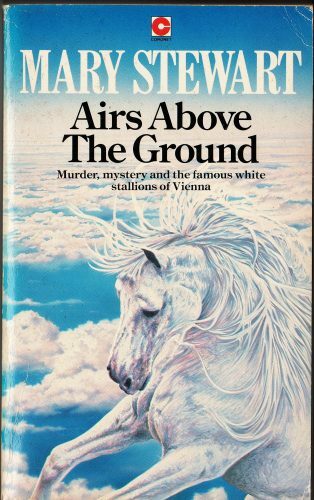 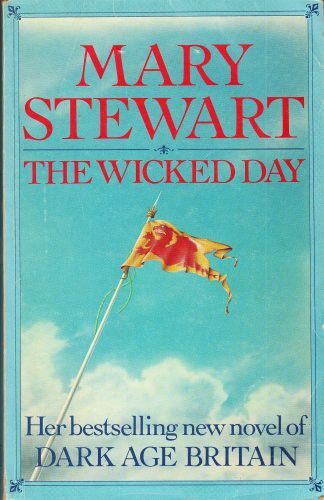 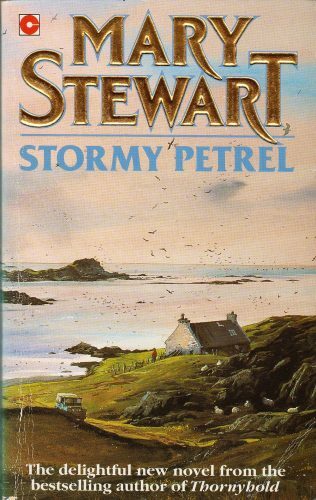 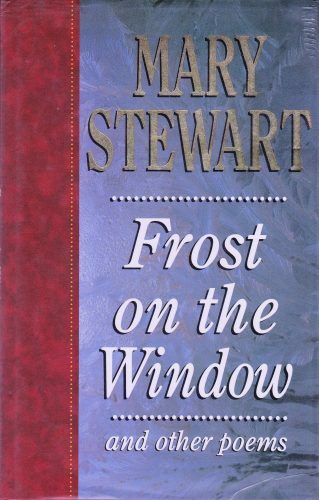 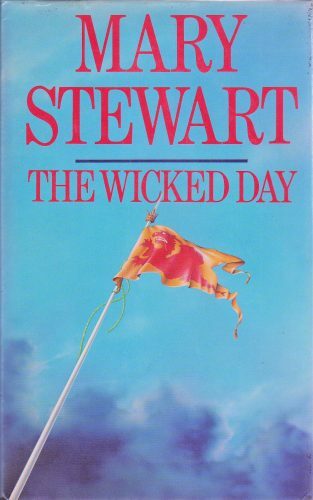 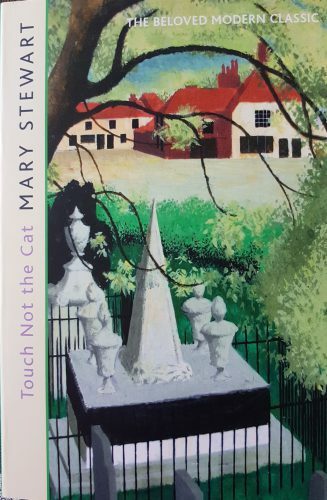 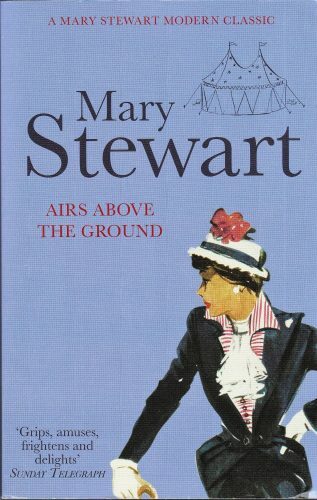 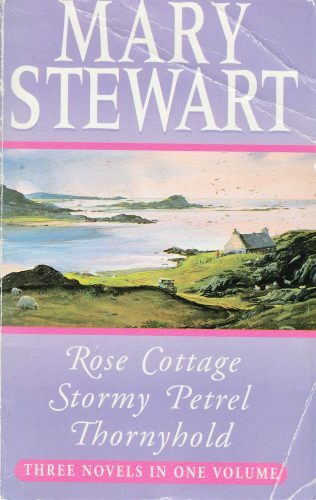 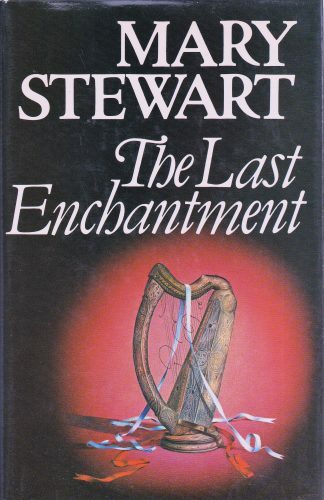 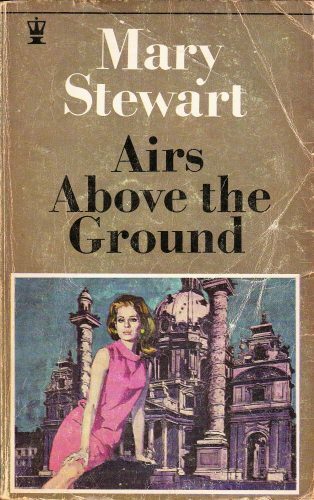 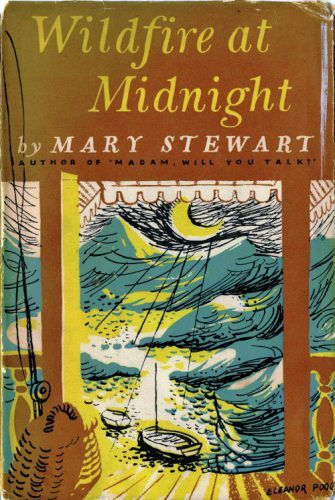 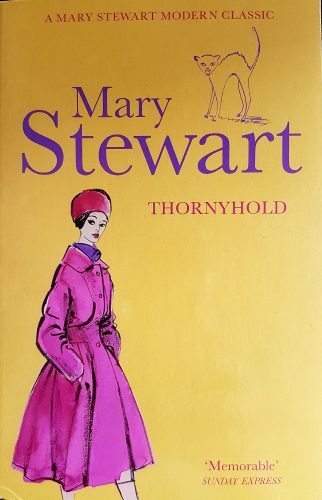 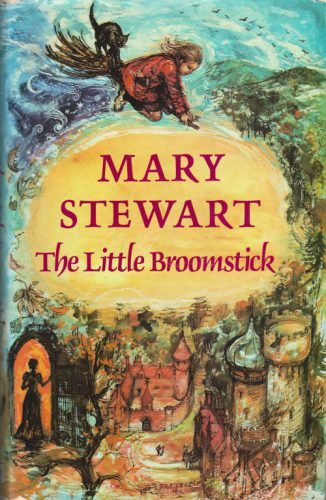 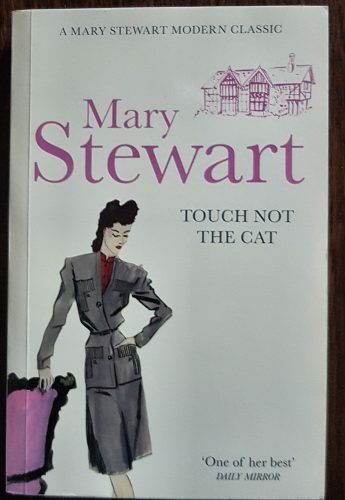 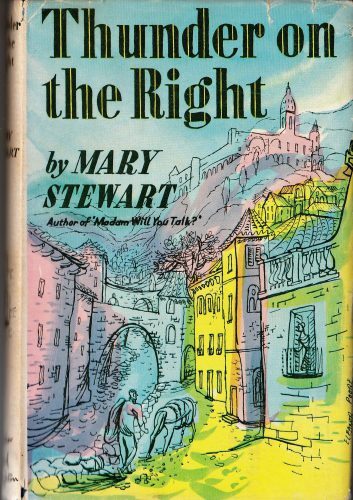 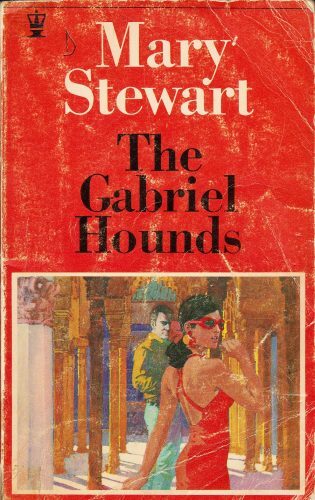 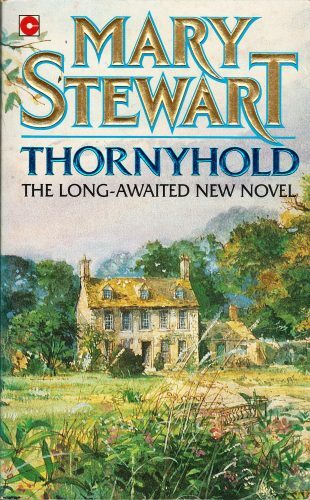 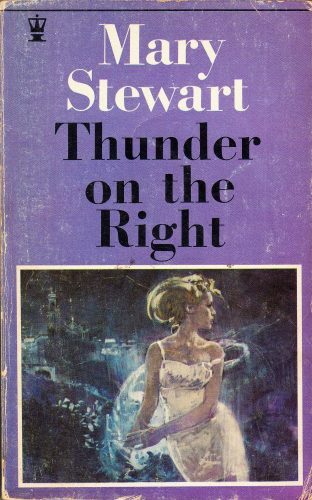 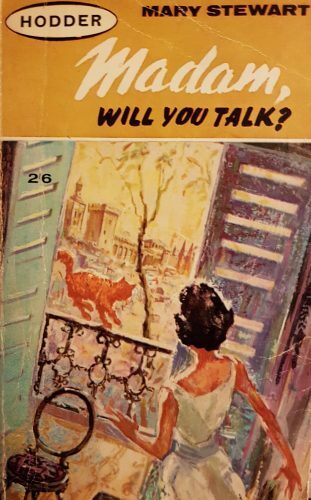 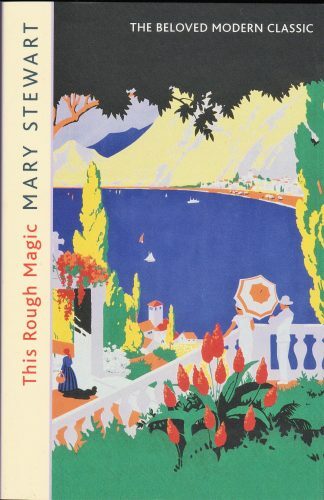 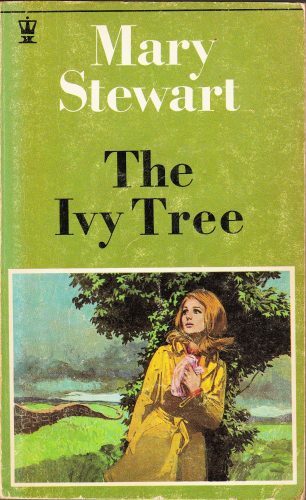 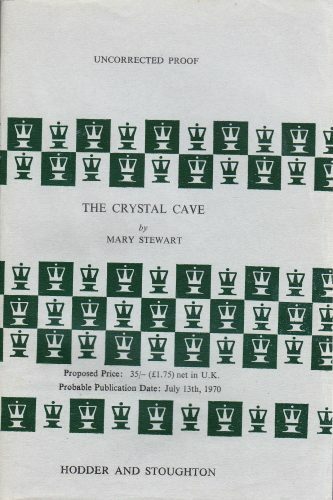 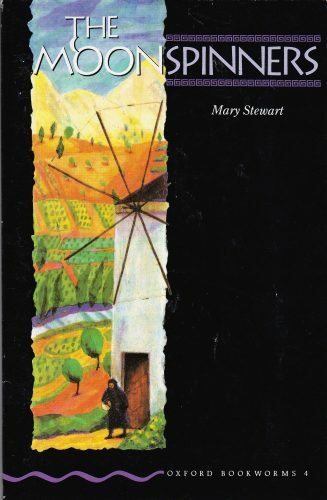 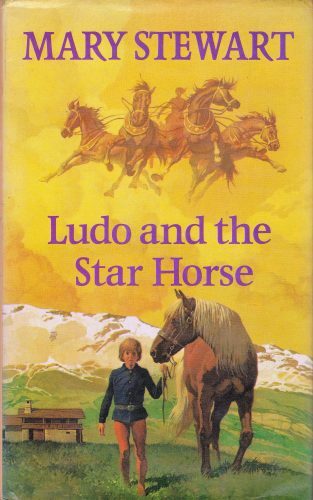 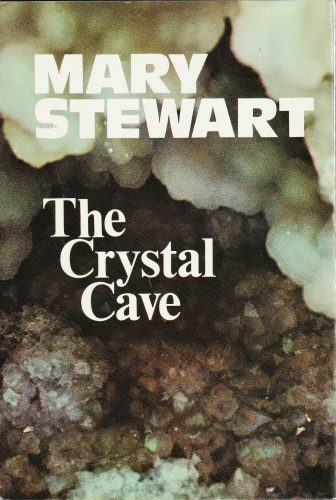 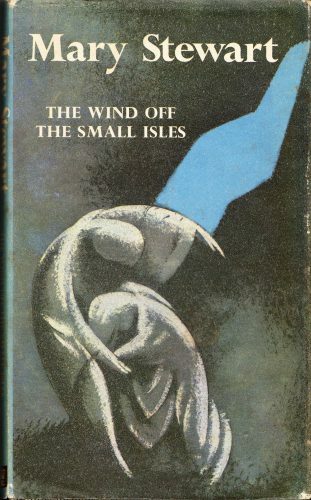 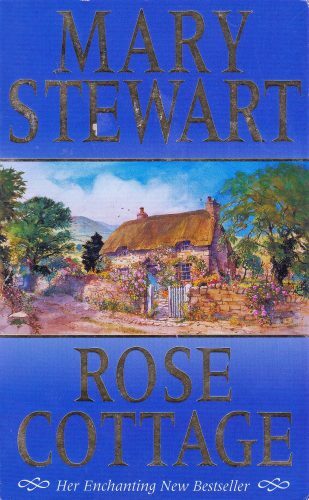 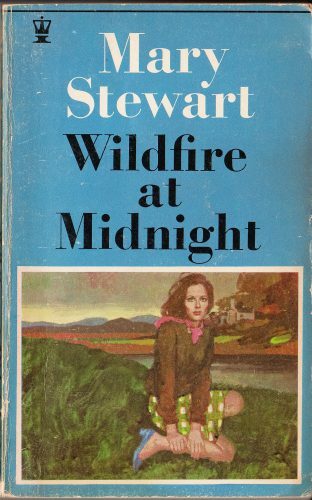 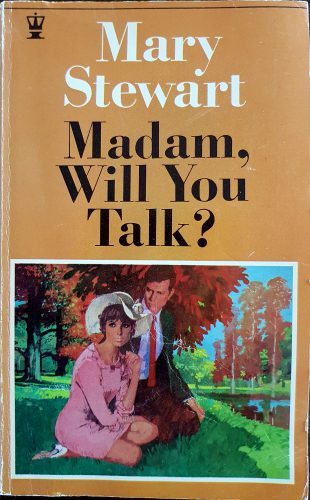 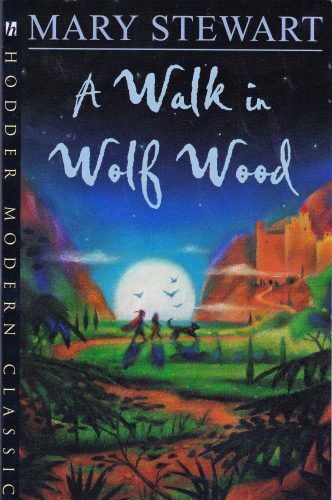 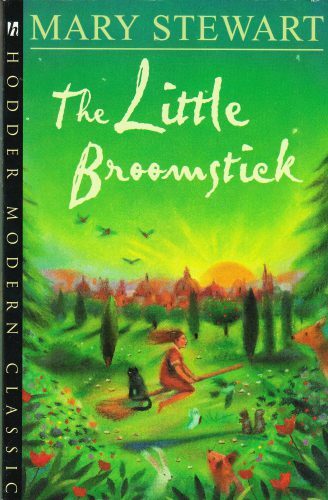 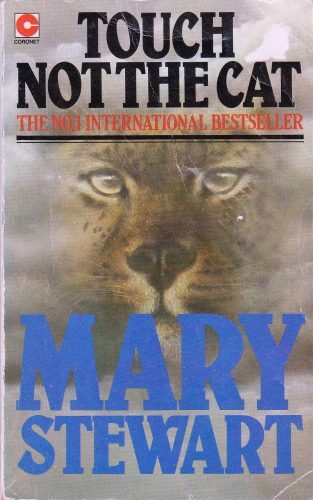 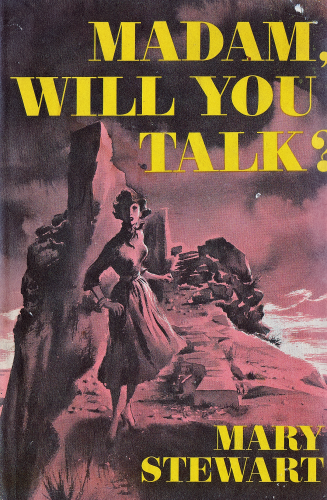 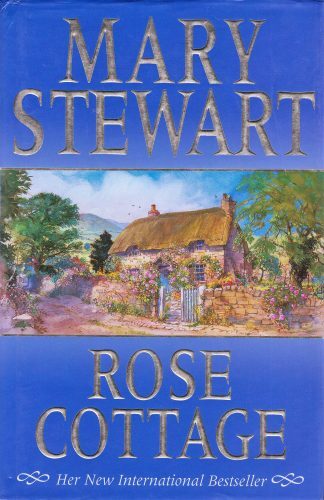 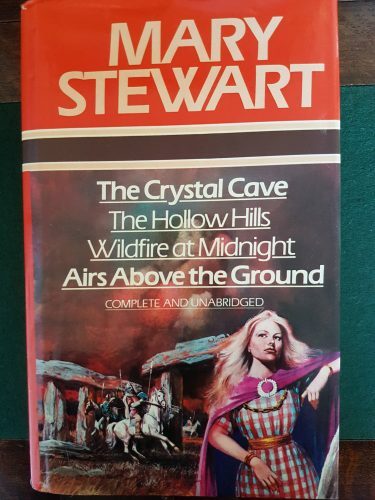 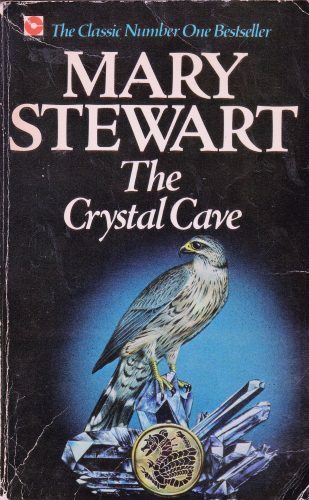 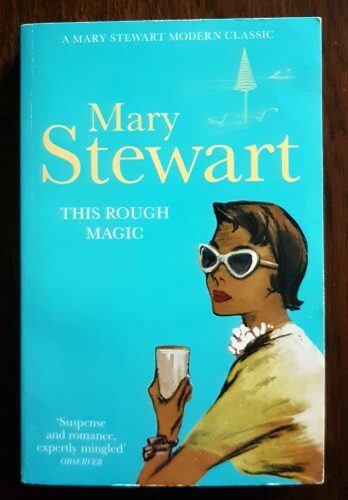 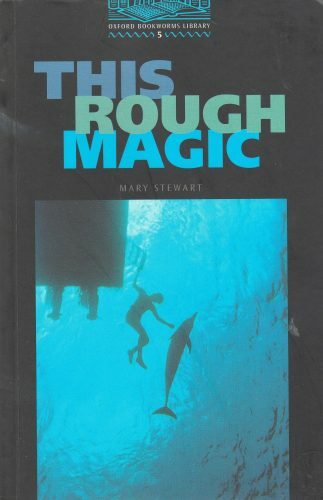 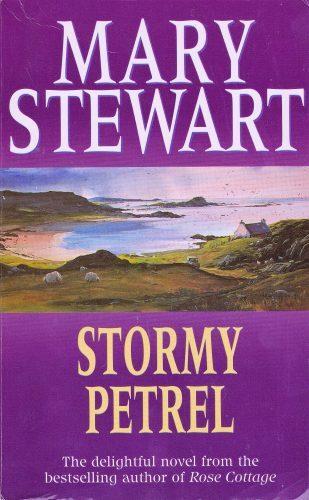 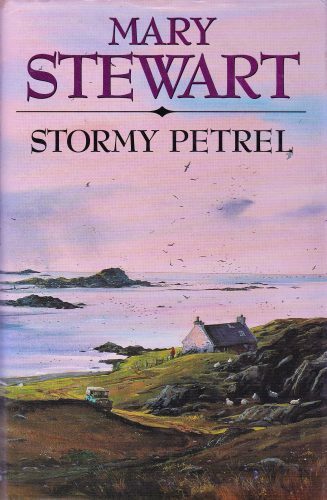 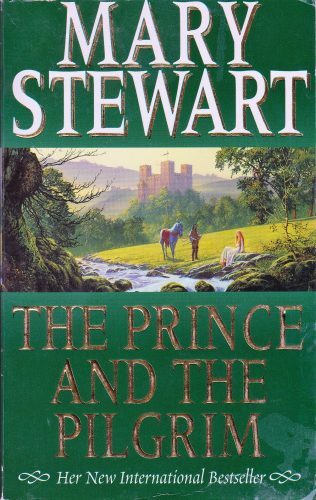 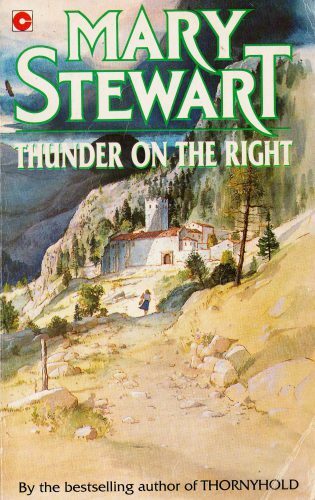 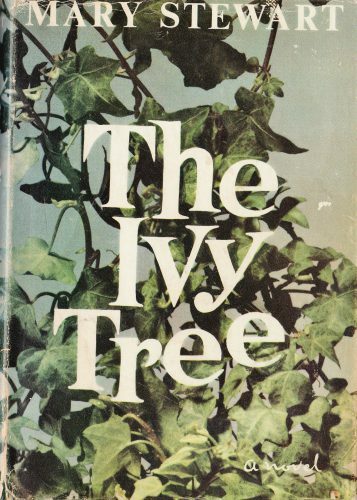 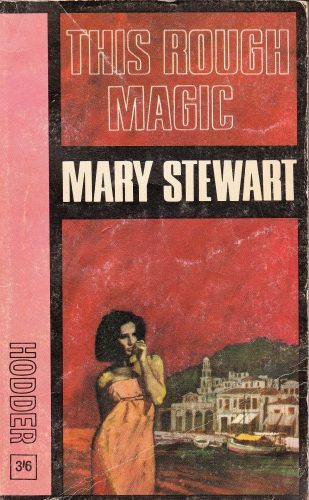 Meanwhile, what is your favourite Mary Stewart book cover? 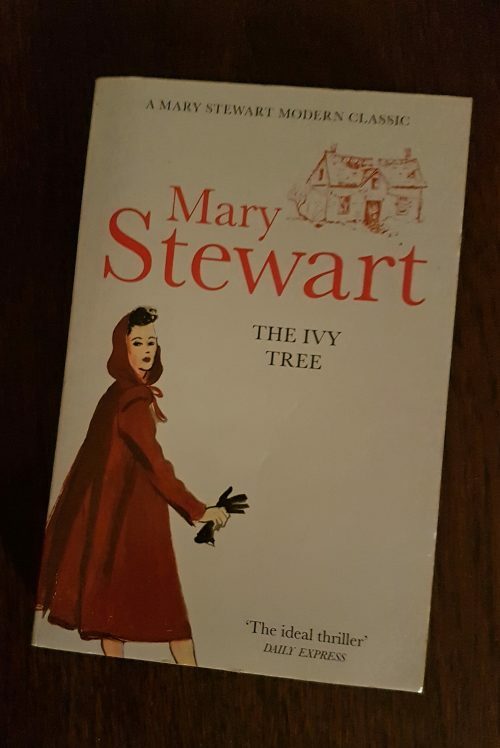 I adore the cover shown here for The Ivy Tree, and I like all of these covers (although I think it looks rather as though Charity is sporting a periwig or something on the Madam, Will You Talk? 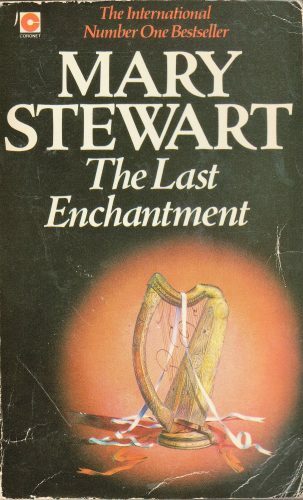 cover). 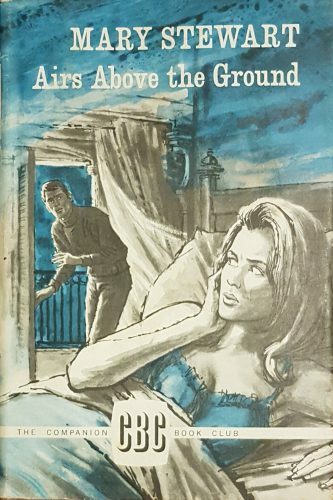 Outside of these editions, I do have a fondness for the pulpy 60s paperbacks (see my Book Covers section for some examples). 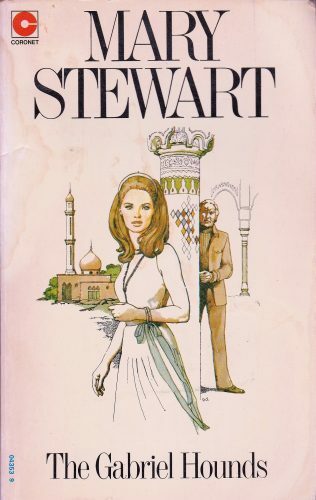 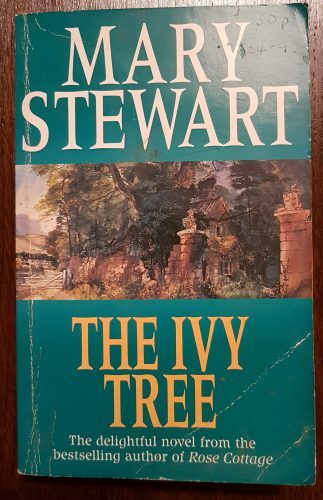 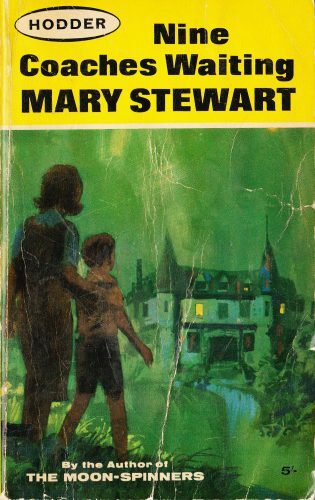 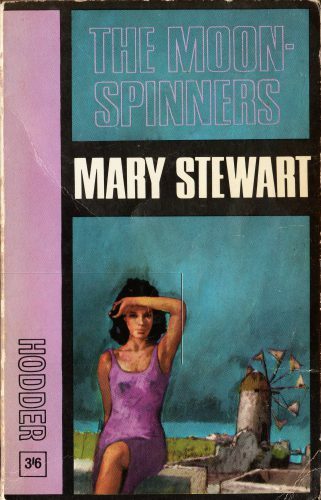 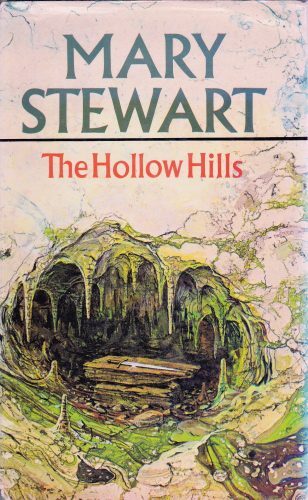 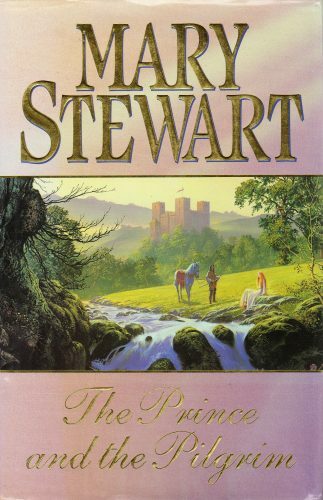 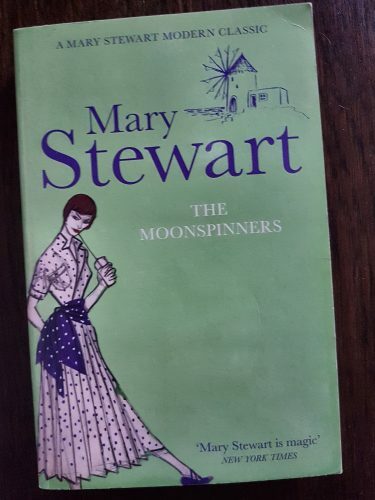 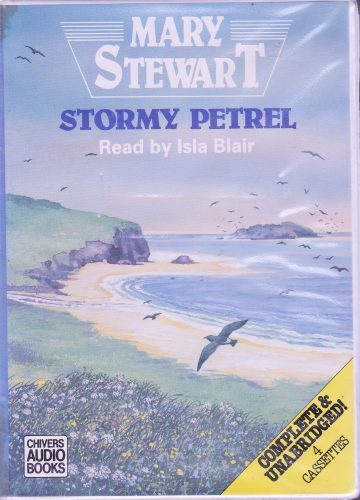 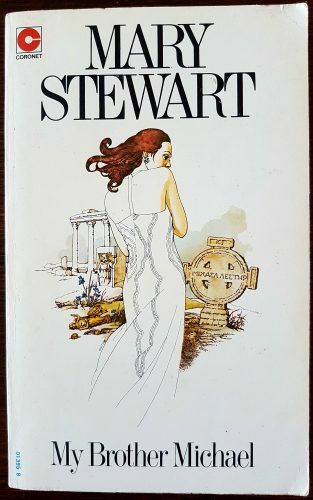 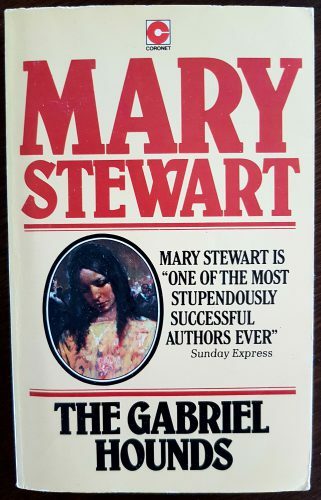 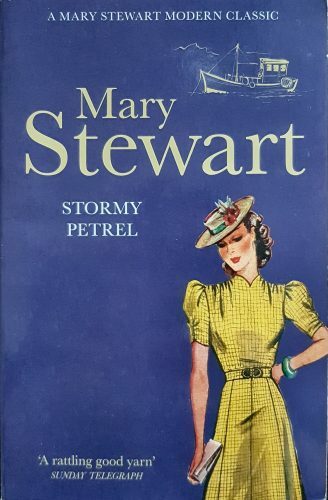 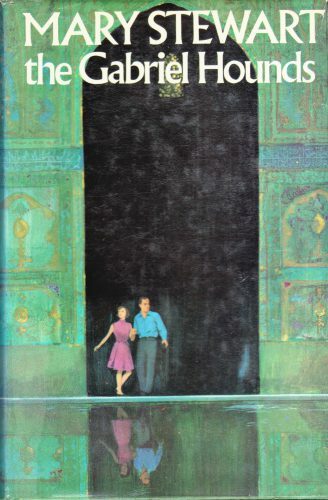 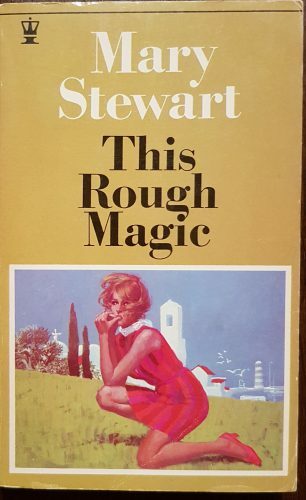 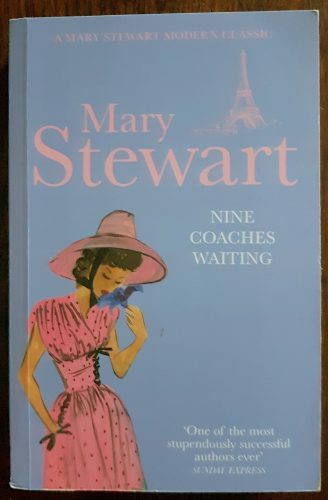 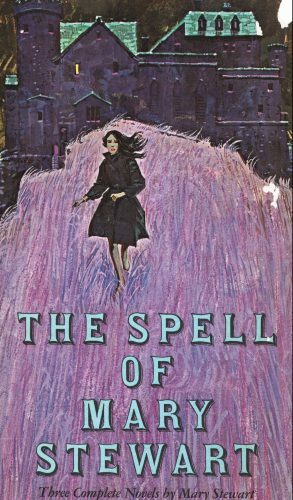 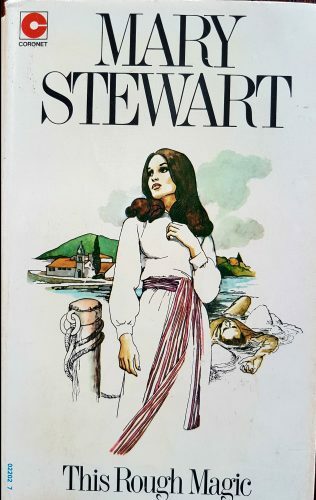 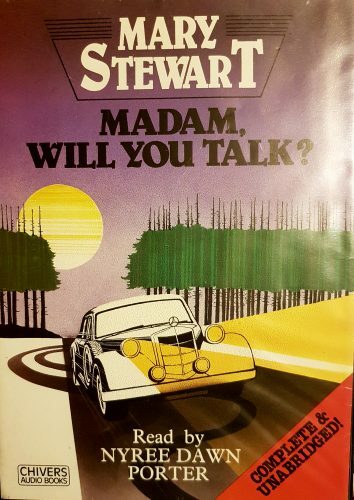 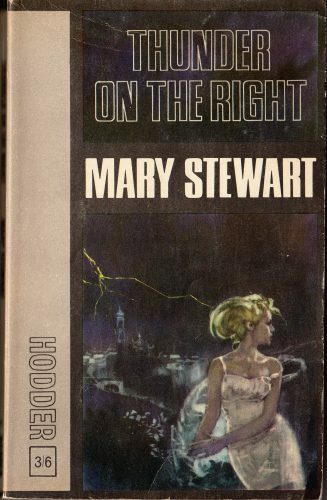 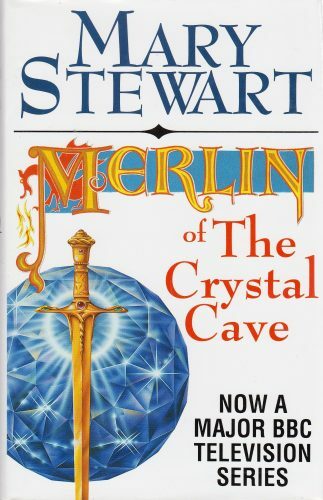 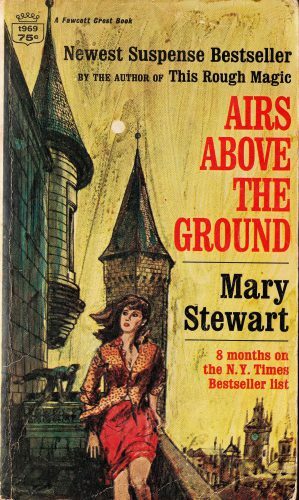 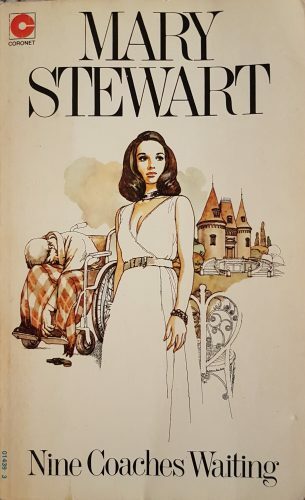 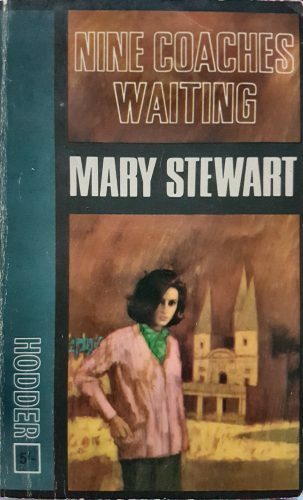 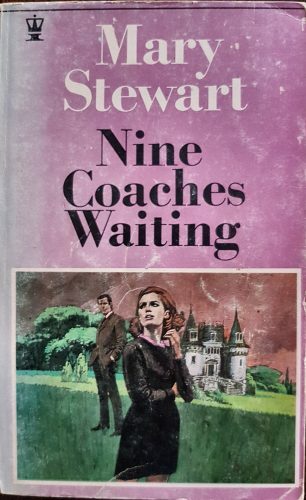 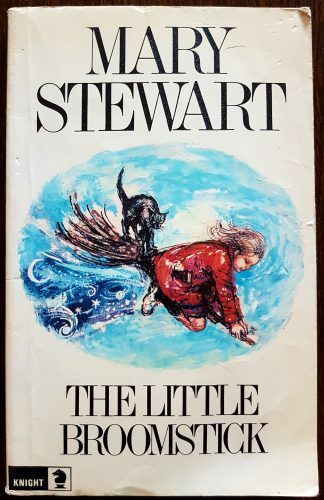 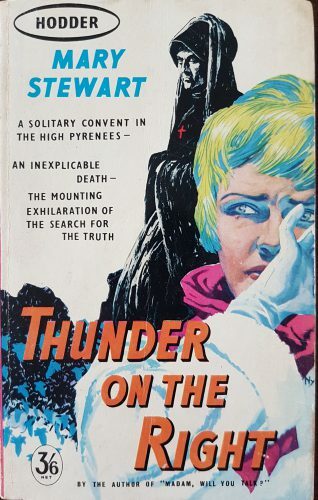 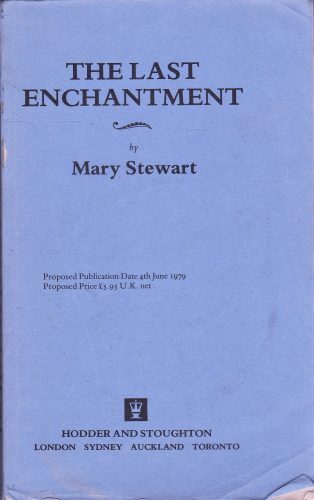 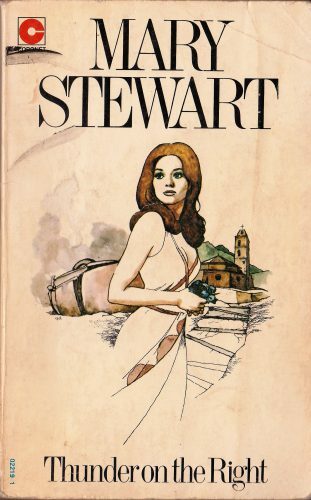 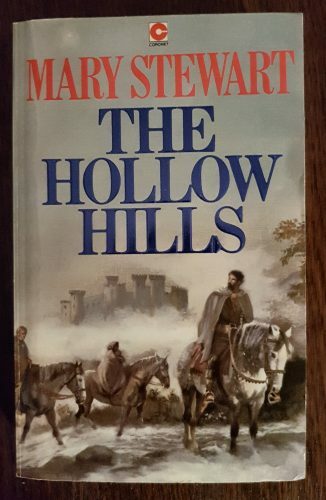 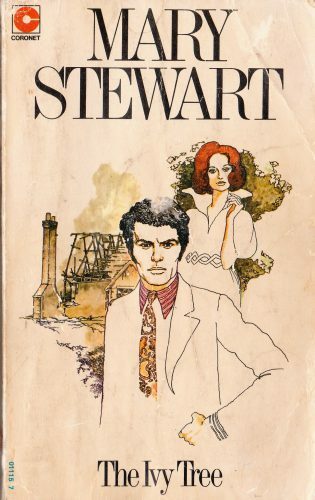 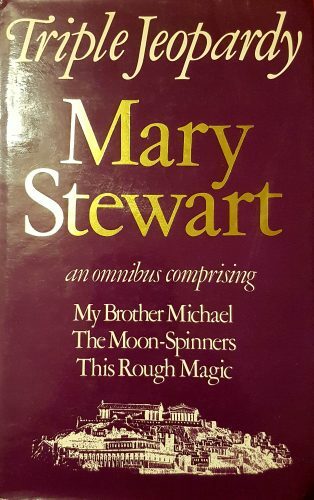 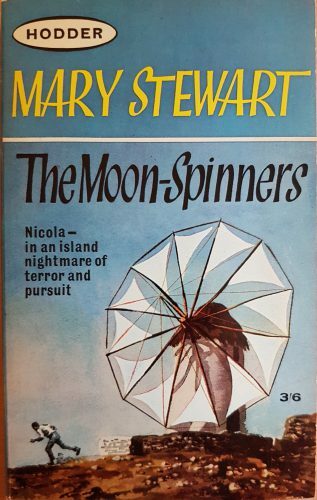 And, of course, if you’ve seen my last post, you will know that I delight in the cover by Herb Mott for The Spell of Mary Stewart, so much so that I’ve had a locket made of it. 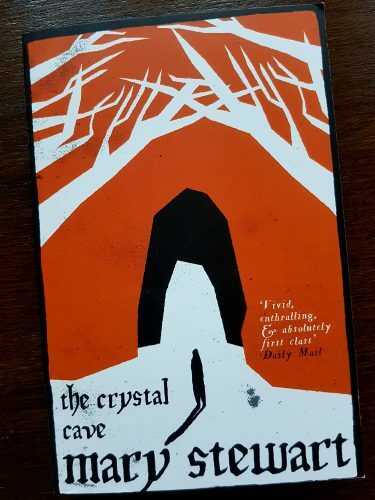 My unique book cover locket! 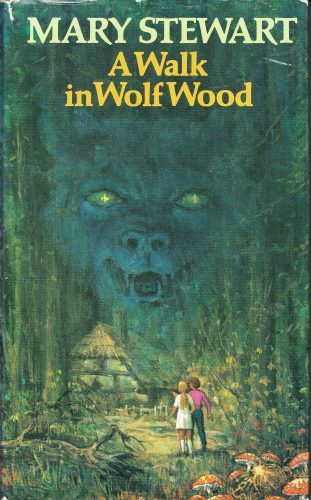 Oh and there is this horror from 1978. 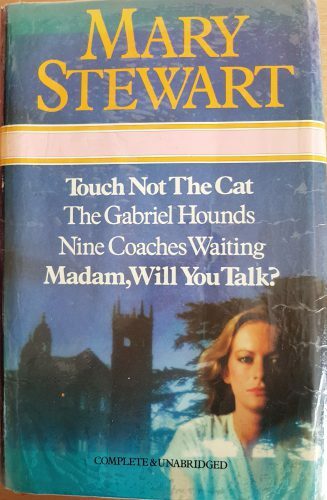 The font! 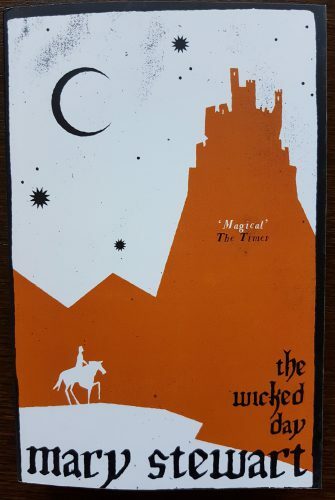 The orange background! 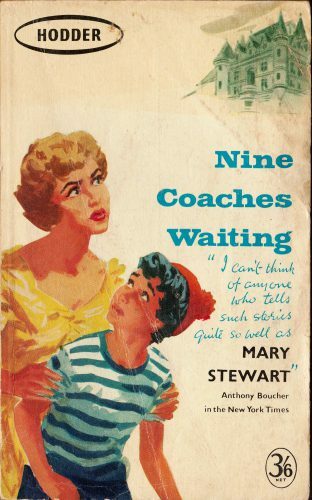 And is the pouting woman supposed to be young Heather Macrae? 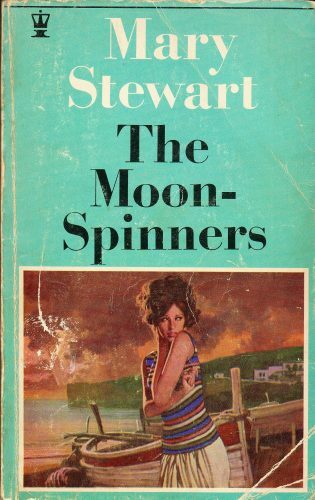 Always makes me think of Geri Halliwell for some reason. 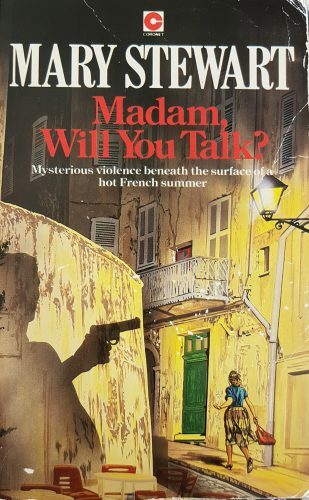 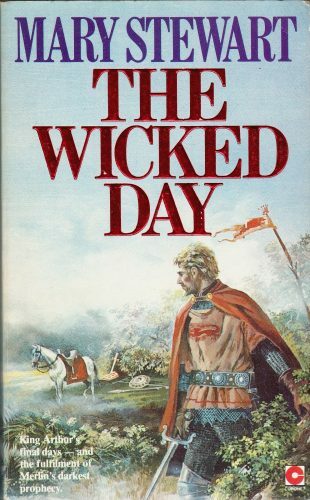 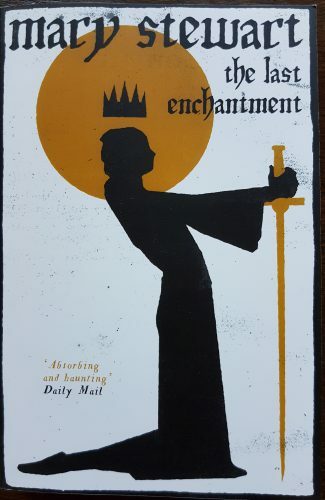 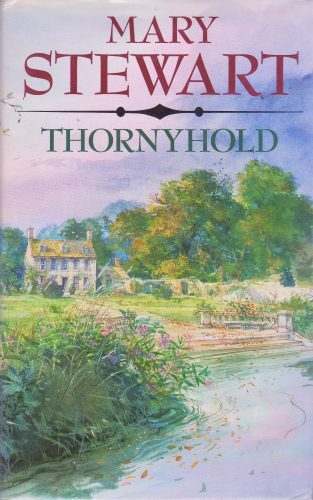 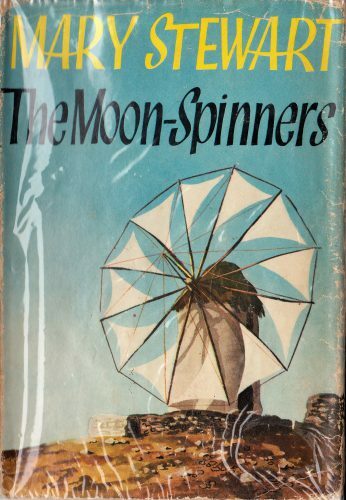 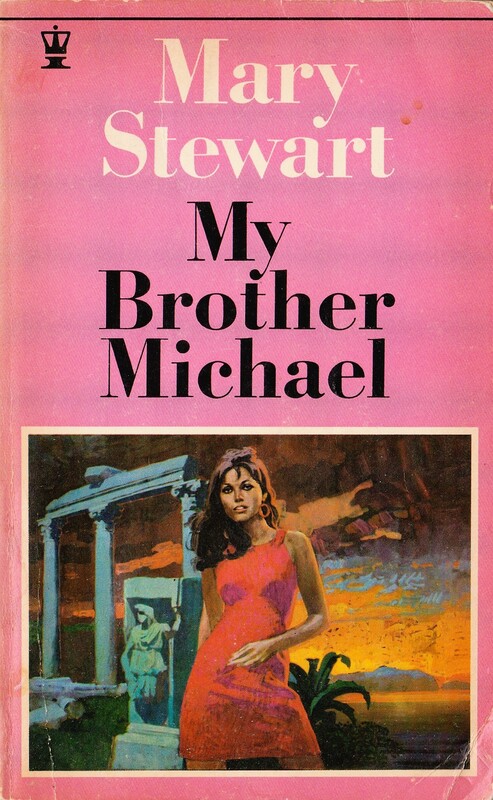 Anyway, a dreadful cover but at least we are told the illustrator’s name: Robert Estall. 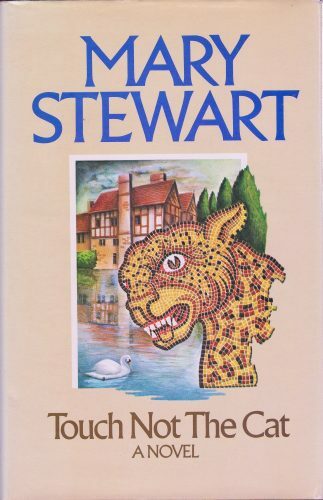 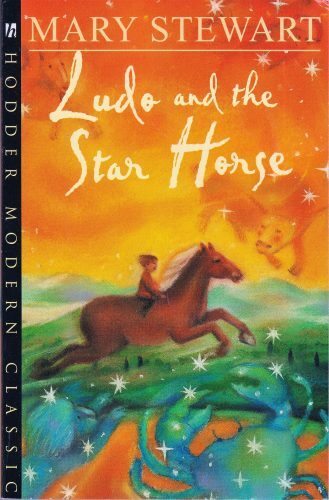 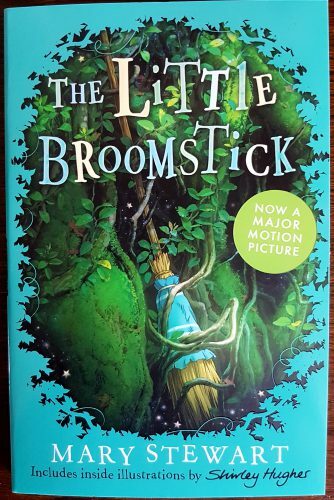 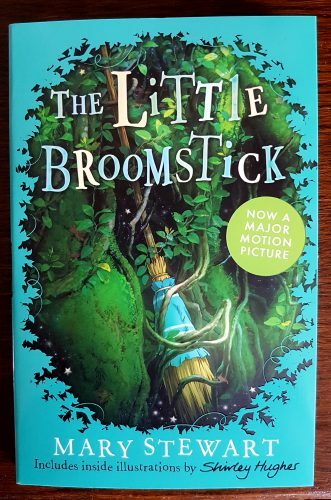 I do resent on their behalf how rarely book cover illustrators are named. 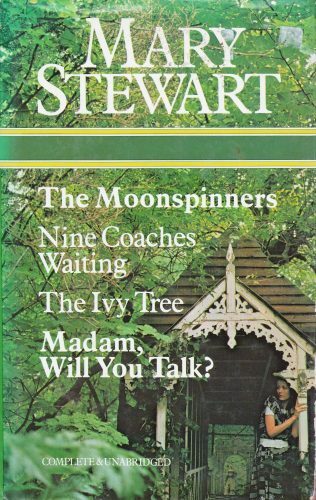 Okay, now it’s your turn: please share your favourite or worst covers. 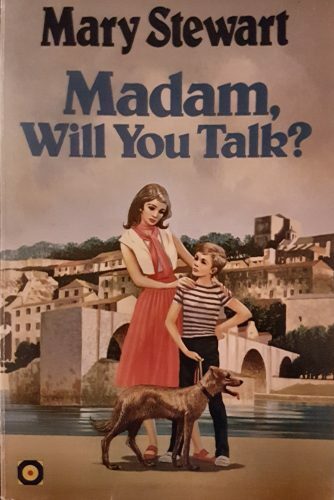 Previous Previous post: Being kind’s the main thing, isn’t it? 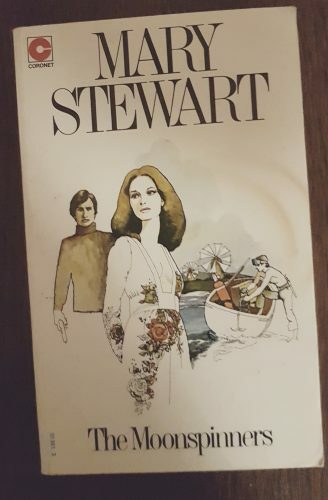 Thanks, Dave. 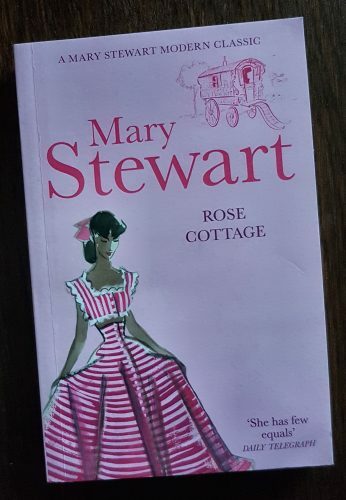 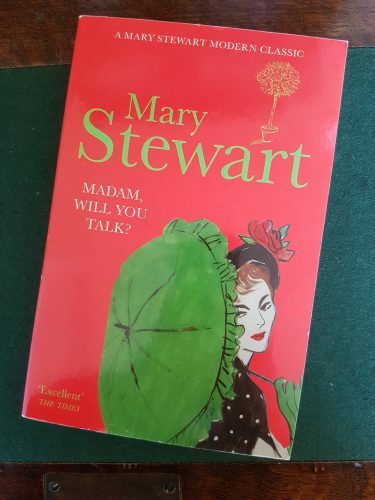 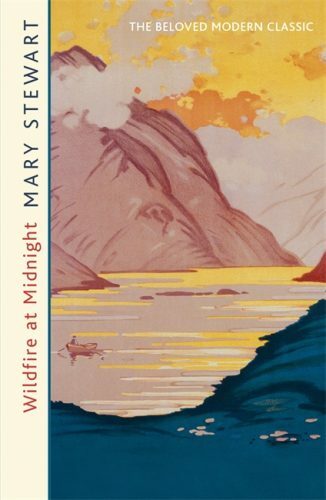 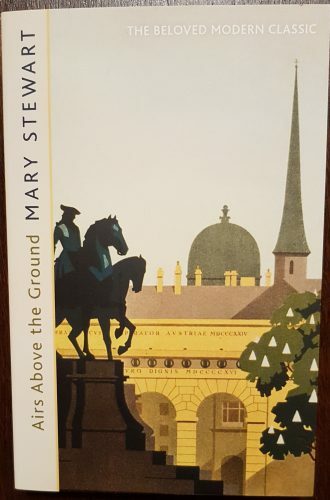 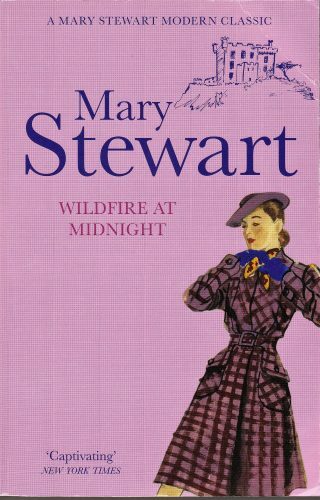 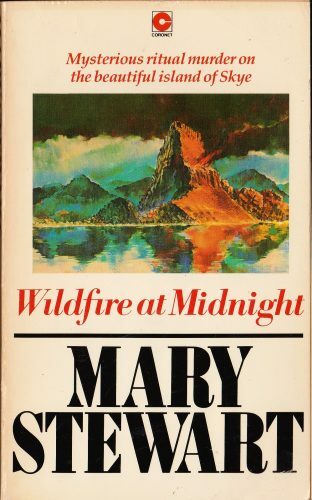 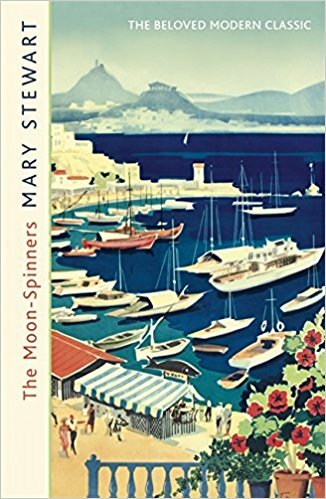 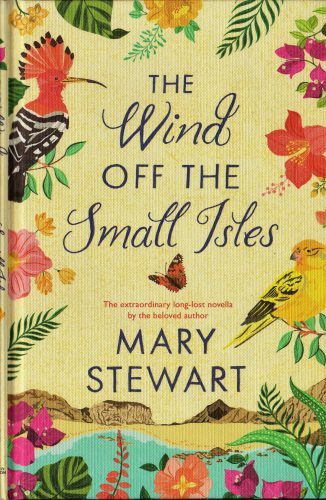 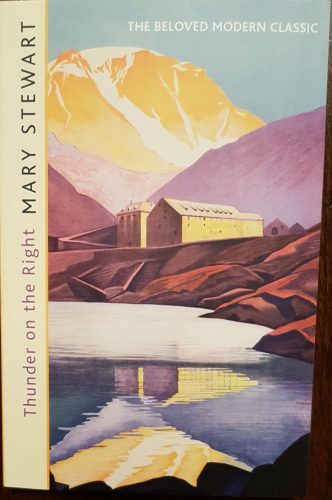 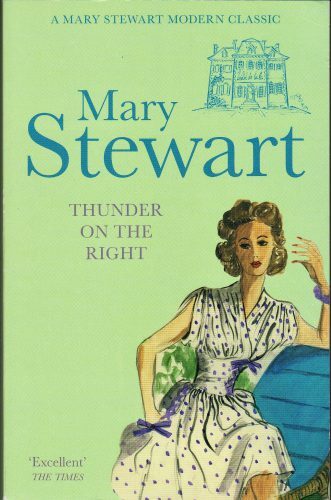 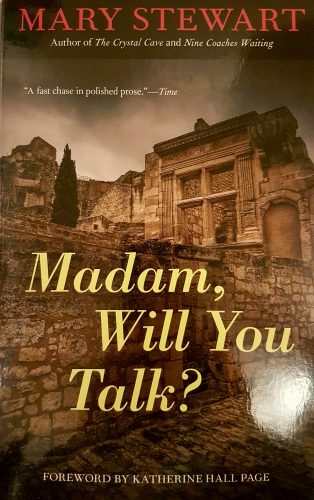 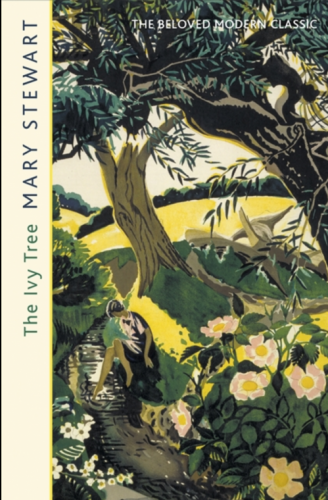 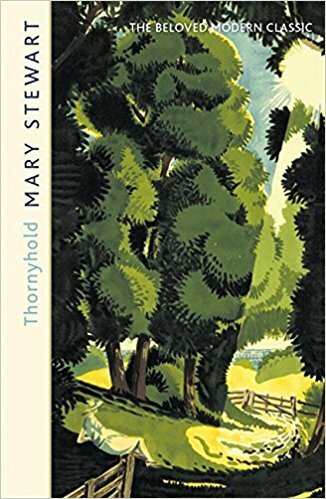 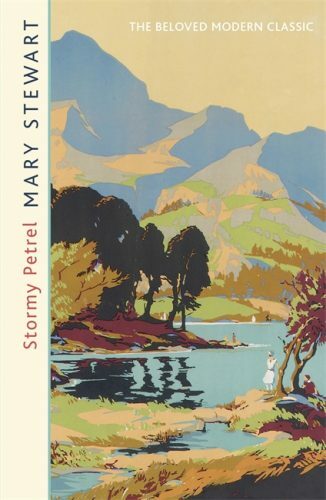 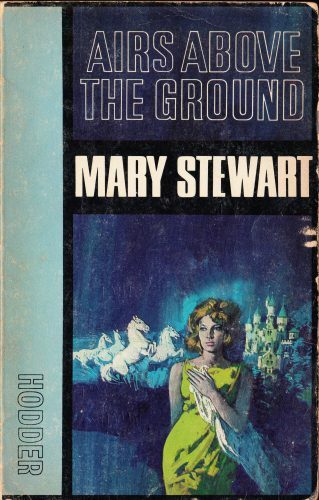 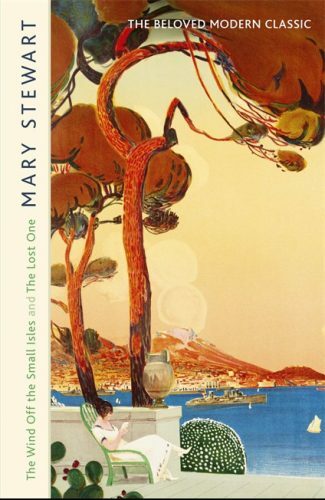 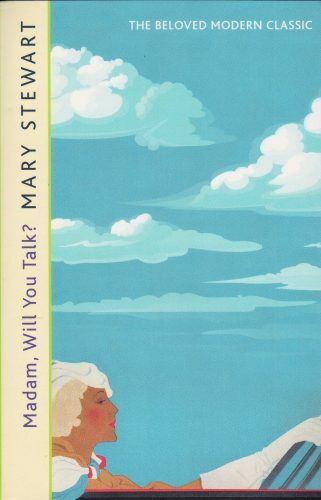 I agree about the covers – I think these new ones are some of the best ever for Mary Stewart. 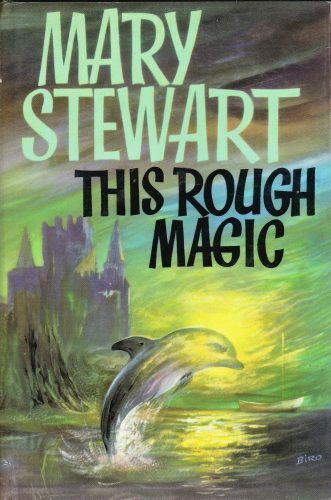 Ack, I had a nearly whole set of the 2011 covers, and now I wish I’d waited, heh. 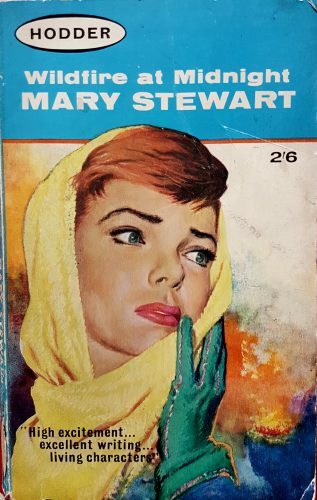 Ah, I feel your pain! 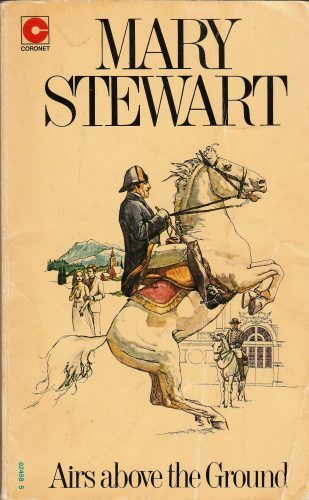 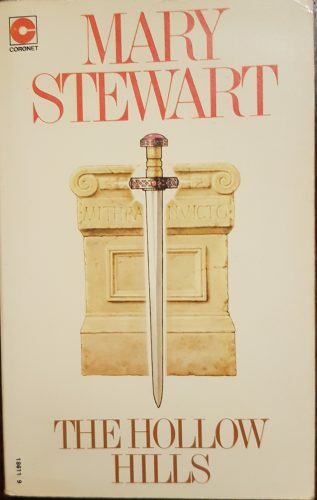 I hate to think how many Stewarts, new and second-hand, I have bought over the years! 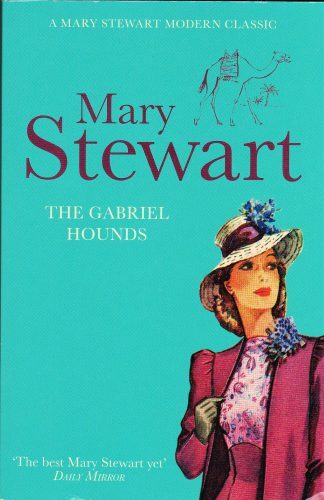 I’m probably going to buy these ones, one or two at a time, and donate the 2011 ones to a charity shop or library. 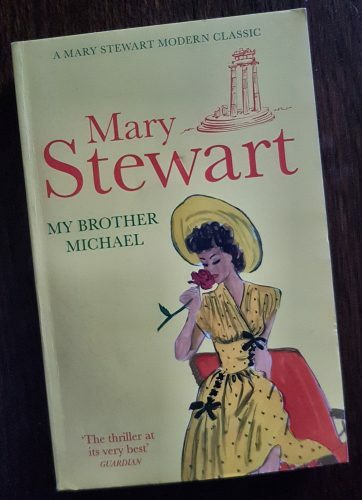 As I say, I’m not quite so keen on the 2011 books anyway so hopefully I won’t be struck by donor’s regret (still sorry I didn’t have room to keep all my 60s/70s copies that I bought 2nd hand in the 80s/90s… these can be quite hard to find in good condition now). 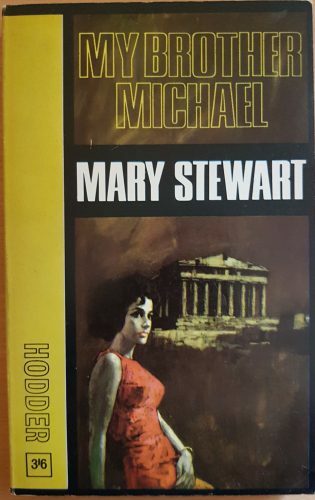 The new Hodder cover art is really gorgeous. 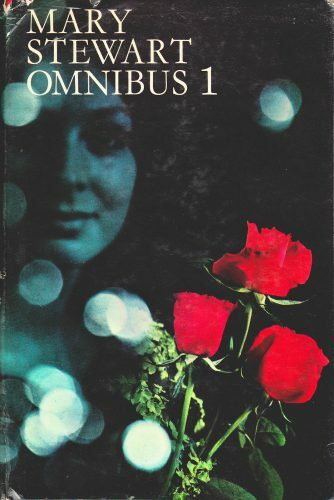 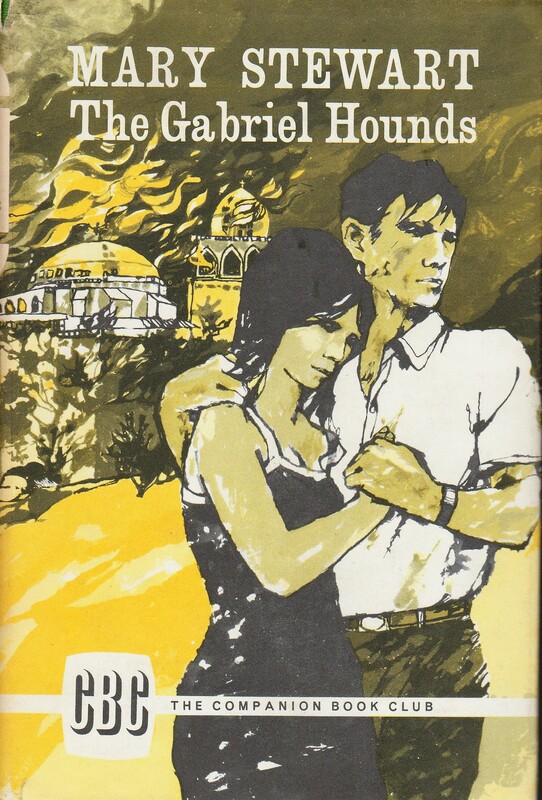 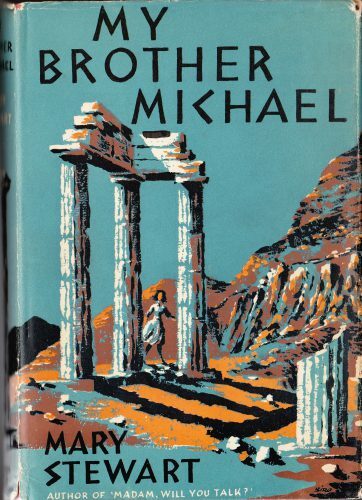 Two of my earlier favorites are the Charles Geer cover for Nine Coaches Waiting showing Linda & Philippe escaping at night, and the paperback cover for My Brother Michael showing Camilla at the theater at Delphi. 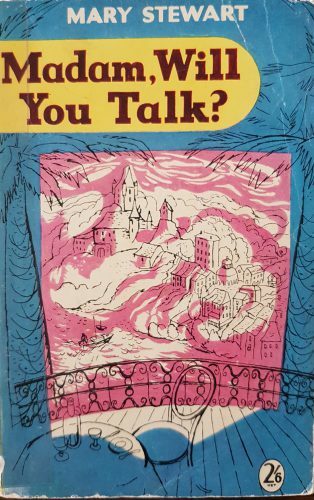 Thanks for this topic. 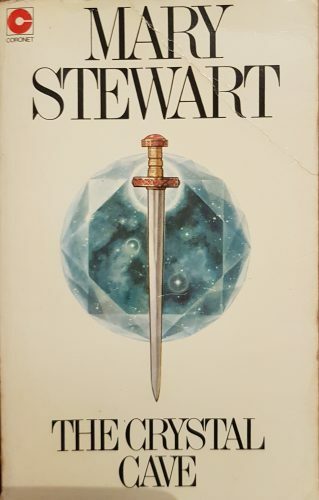 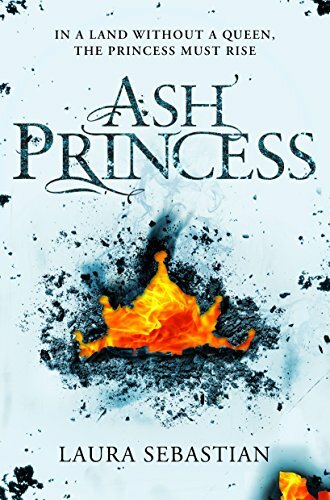 I agree about the new cover art, the more I look at it the more I love it! 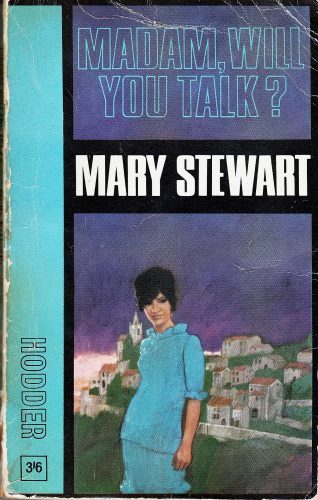 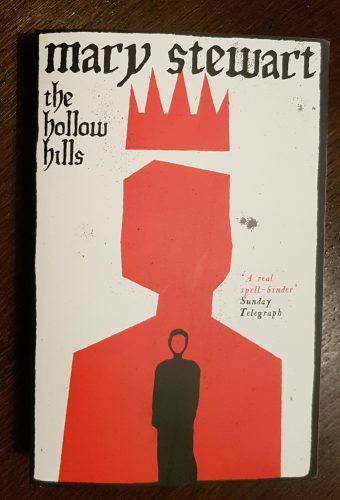 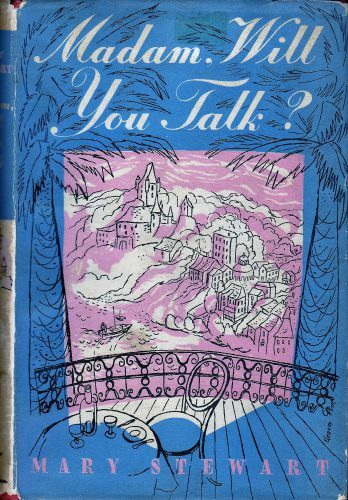 I think I might know the paperback covers you mean, are they US copies, by Morrow? 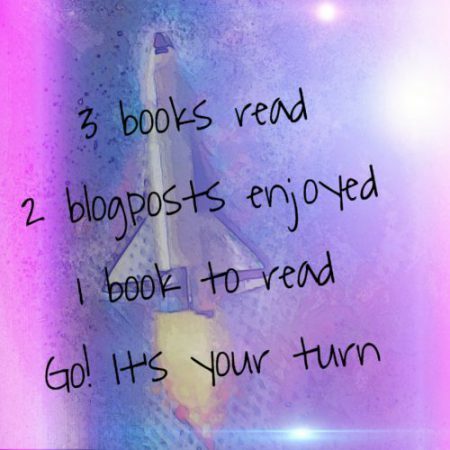 If I’m thinking of the right ones, I like those too. 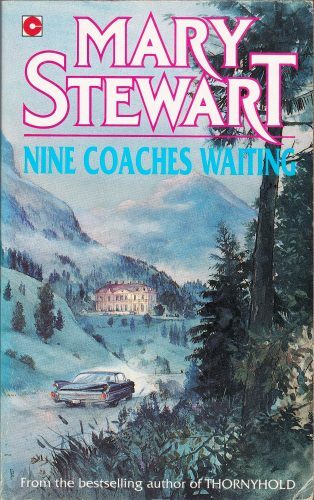 umm, i’ve only seen them online ( i’ve purchased the omnibus editions of most of Mary’s novels) The Nine Coaches Waiting art is set at night with Valmy looming at the top. 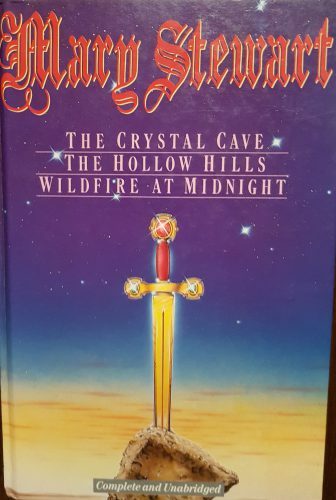 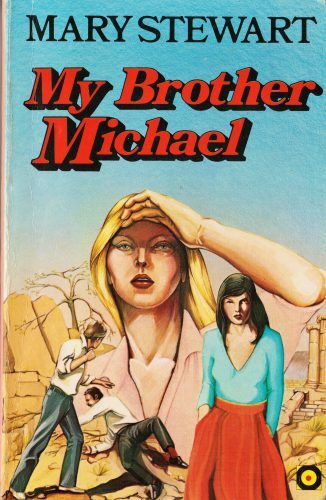 The My Brother Michael art was possibly for a mass market paperback edition (Crest, I think) but really captured my imagination. 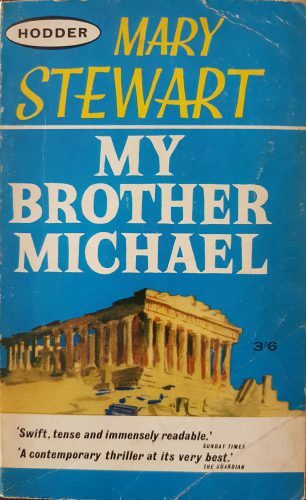 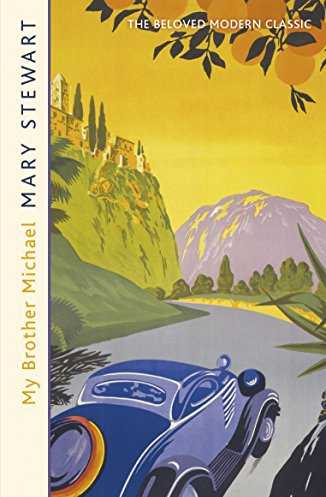 Ah okay, I’ve had a look online and seen the Geer cover, it’s the cover I guessed; and I see that the My Brother Michael cover was a Crest paperback (60c! 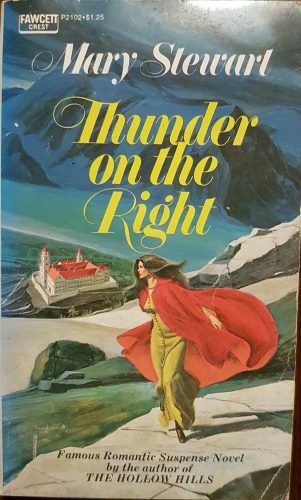 ): it’s the one where Camilla is in a red dress and half-turned round as though startled by a noise above and behind her. 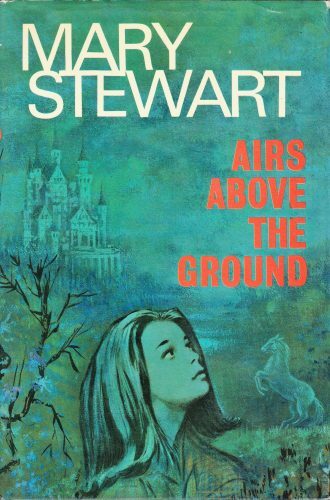 Yes these are gorgeous covers! 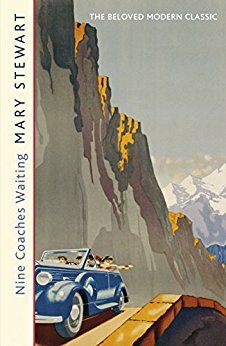 They are the best I’ve seen for her books in the UK. 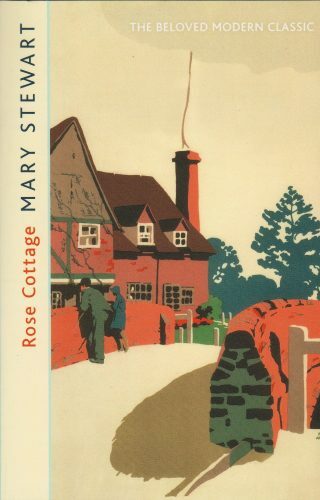 Ha, I like your thinking on replacement planning! 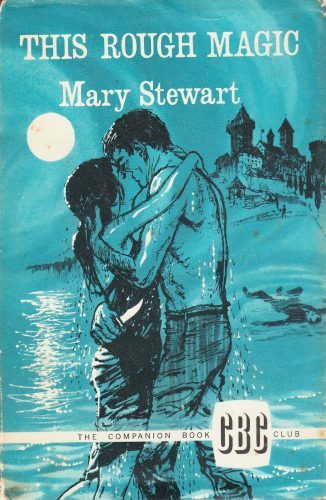 I love these covers; they’re on the kindle ebooks in the US, too. 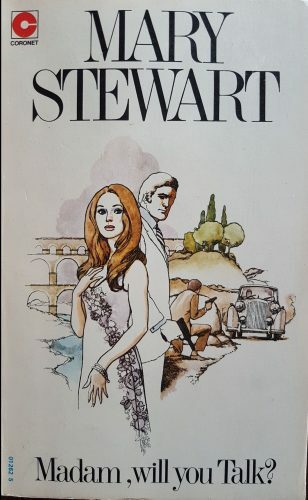 I can’t find any information on the illustrator, though. 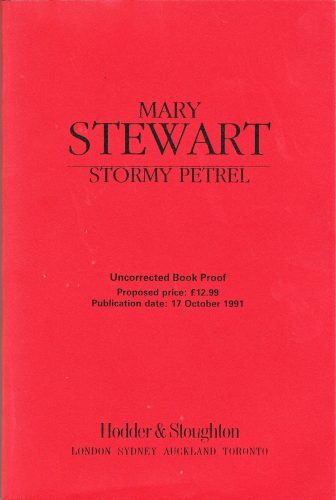 Is there anything in the print book that says who did them?